Today, PloS Medicine published a study that examined the increase we are seeing across the country in philosophical exemptions to school vaccine requirements, also known as personal belief exemptions. According to the authors, 12 of the 18 states that allow philosophical exemptions have seen an increase in parents choosing to exempt their children from one or more vaccines. 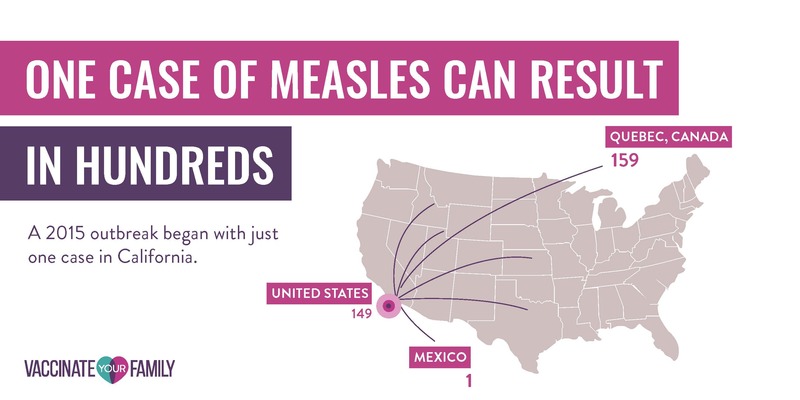 As a result, several metropolitan areas are at risk of an outbreak of disease, such as measles, similar to the one we saw originate at Disneyland in Anaheim, California three years ago. While the study reveals some interesting data points, there’s little information as to why it appears that parents are increasingly claiming exemptions for their children. In most states, the school vaccine exemptions tend to be elevated in a handful of communities, as opposed to a general rise in exemptions throughout the state. It appears that more research needs to be done to better inform public health policymakers regarding the underlying reasons parents are exempting their children from school required vaccines. In Washington state, a law was passed that required parents to have their exemption form signed by a health care provider. In Oregon, parents have the option of watching an online module on the dangers of not vaccinating or getting a form signed by a health care provider. While both states saw an immediate and encouraging reduction in the number of exemptions claimed, it appears that these policies have not been effective over time and exemptions are once again on the rise. In Washington, the state’s kindergarten exemption rate fell from 6% to 4.5% in the first year following the new policy. Five years later, however, the rate has increased slightly to 4.8%. In Oregon, the rate dropped from 7% to 5.8% the year after their new law went into effect. Just three years later, more kindergarteners than ever – 7.5% – are now exempt from one or more vaccinations. Tightening laws and policies clearly does not keep those parents who are intent on seeking exemptions from obtaining them. But how about eliminating nonmedical exemptions? After the 2014-2015 measles outbreak in California, the state legislature decided to eliminate all nonmedical exemptions. 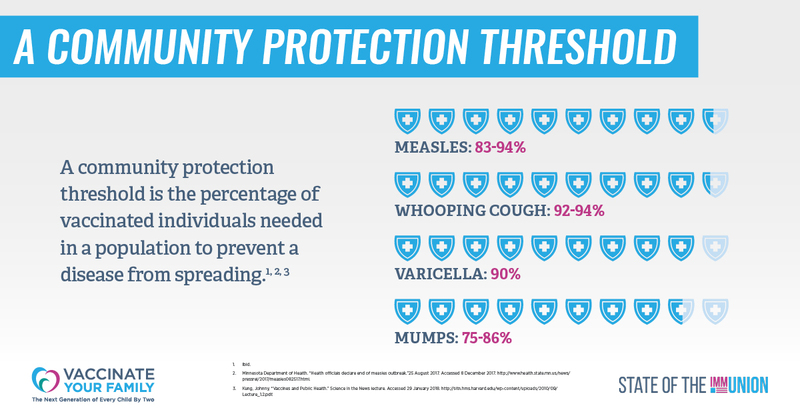 Again, one year after the law was passed exemption rates fell dramatically and, most importantly, vaccination rates rose well above community immunity thresholds, thus better protecting communities against disease outbreaks. But what will the future hold? Will parents who have philosophical reasons to avoid vaccines for their children find ways to obtain medical exemptions? In the coming years, public health partners may have a better sense of whether eliminating nonmedical exemptions can sustainably increase vaccination rates and protect our communities against dangerous vaccine-preventable diseases. We will also be looking to additional studies to learn how many parents are choosing exemptions because they have true personal objections to vaccinations, or because they don’t view vaccination as a priority among their long back-to-school lists. In the meantime, it’s important to help state legislators and the public understand what has been tried to-date and what are the most promising policy paths forward. 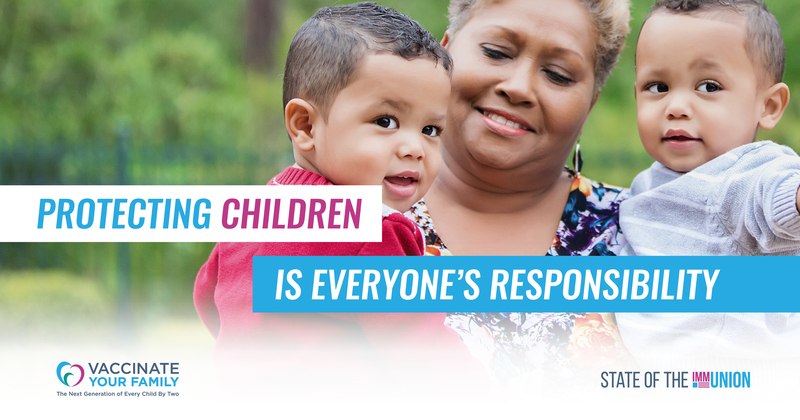 Consider sharing Vaccinate Your Family’s fact sheet on the impacts of exemption legislation with your local lawmakers to remind them of their role in strengthening our defenses against vaccine-preventable disease. Check out Vaccinate Your Family’s 2018 State of the ImmUnion report to learn more about federal policies that aim to protect our families and communities from dangerous diseases. Help ensure children are better informed about how diseases develop and how vaccines work with the immune system by sharing specially designed science curricula from The Vaccine Maker’s Project with school nurses and science teachers at your local elementary, middle or high schools. Find out more about the vaccination rates in your state and community by contacting your local schools, public health department or reviewing the latest CDC vaccination coverage reports. Stay informed about the latest immunization news and research by following Vaccinate Your Family’s Facebook, Twitter and Instagram accounts, subscribing to this Shot of Prevention blog and sharing the information we discuss on these channels with your social contacts. Together we can work to ensure that students get the protections they deserve in their schools and communities. The whole non-medical exemptions issue is a nightmare. School districts could require that ALL non-medical exemptions have to go to a school board hearing to get a really objective ruling on this. If faced with the time and trouble of showing up, I suspect many families would just do the right thing. Also, docs who cave to a blatantly untrue medical exemption should be outed to the community and their peers. This puts children at risk.